Huge Savings Item! Free Shipping Included! 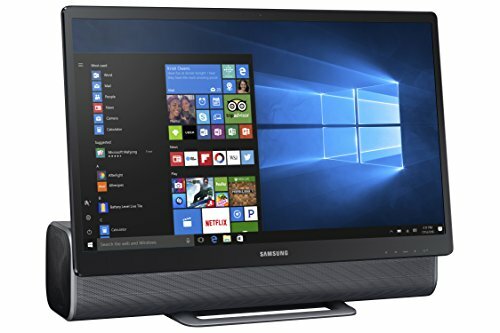 Save 16% on the Samsung DP710A4M-L01US All in One 23.8'' Touch Computer, Titan Gray by Samsung at Wander Soul. MPN: DP710A4M-L01US. Hurry! Limited time offer. Offer valid only while supplies last. The Samsung All-In-One gives you an immersive Full HD view of everything while you surf, watch, work and play on a brilliant 24'' inch touch screen. The Samsung All-In-One gives you an immersive Full HD view of everything while you surf, watch, work and play on a brilliant 24" inch touch screen. The premium design adds sleek style to any environment, while powerful audio and multimedia features take your PC experience to a whole new level. If you have any questions about this product by Samsung, contact us by completing and submitting the form below. If you are looking for a specif part number, please include it with your message.